Join us for this Journey into the Heart of Awakening! Next training January - June 2019! Make your deposit and save your space TODAY! 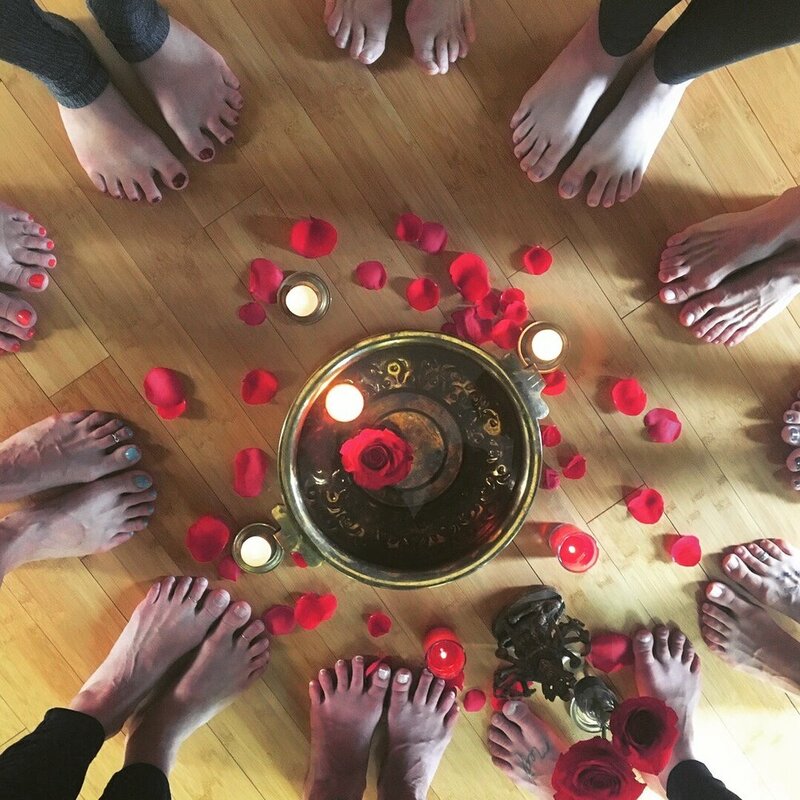 Are you ready for a whole new level of transformation and embodiment as a yogini? Have you been practicing and studying and teaching for awhile and are ready to go deeper , both personally and professionally? Do you have a sense that, even with all of the knowledge you already have, there is still so much more to learn? Are you eager to fill in the gaps in your understanding and teaching skills? Are you able to lead good or even great classes, but still struggle with a lack of confidence? Do you want to feel more empowered but you don’t know how? Do feelings of doubt, fear, shame, confusion and inhibition ever hold you back? Are you craving more meaningful connections with others and a real sense of community? Have you always wanted to lead a group, workshop or retreat and create opportunities for others to connect but you are unsure how to do it? Are you clear on the next steps you need to make in your career but are having a hard time taking them? Or do you simply have a sense that it is time for you to make a big leap in what you are offering in the world but find something has you dragging your feet? Does some part of you know it is time to own your magnificence? Are you ready to grow? Open to receiving honest feedback and reflection? Do wish you had someone you could ask questions to? A mentor who could support, encourage, guide and challenge you? Are you stuck in the yoga studio scene...running all over town, teaching multiple classes a week? Feeling exhausted, uninspired, burned out and uncreative? Maybe not even making enough to live on? Or are you desperate to teach but are having a hard time knowing how and where to get started? Would you like to explore new possibilities of how to stand out and make money in competitive markets? Are you unsure about your particular niche? Or do you already know what makes you unique as a teacher but feel overwhelmed by the complexities of marketing and don’t like the idea of putting yourself out there? will radically shift your teaching and your life. A true commitment to yoga is not always easy. A willingness to move through resistance. To dig in deep and get your hands dirty. It also takes an incredible capacity to surrender. 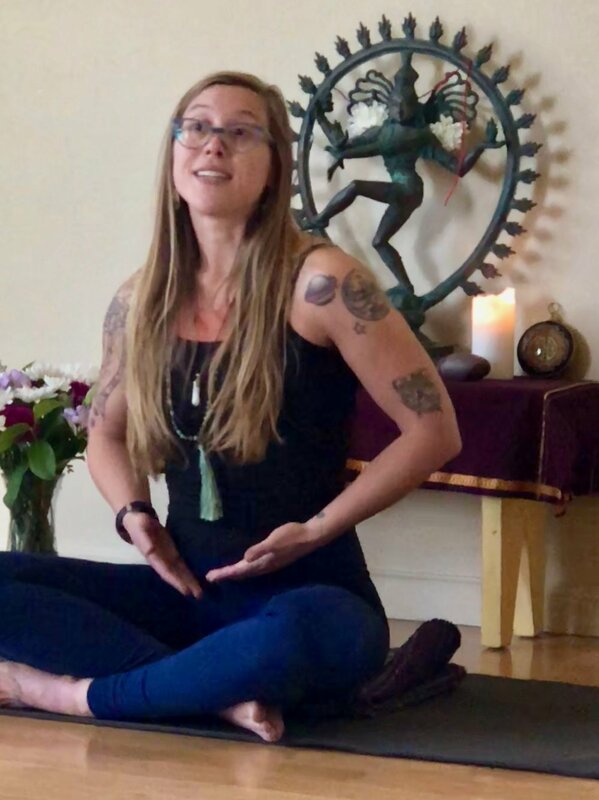 This training will give you the practical skills you need to deepen your commitment to yoga, refine your teaching and create the space for a radical transformation of your inner landscape. Then you will feel the magic that happens when you open fully to the vibrant energy that pulses through you. 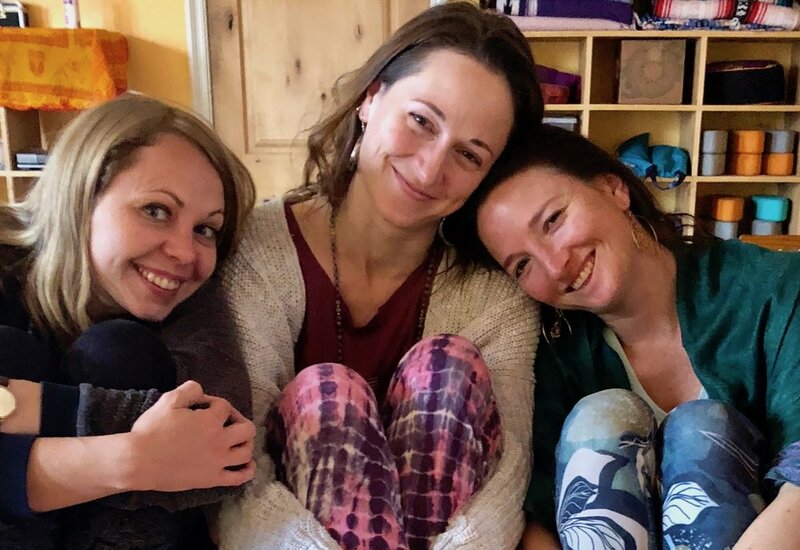 Since this training is for yoga teachers that have already completed a Yoga Alliance approved 200 training, we will focus on deepening each participants knowledge of and capacity to teach yoga. We will shape the training to best serve everyone's needs. 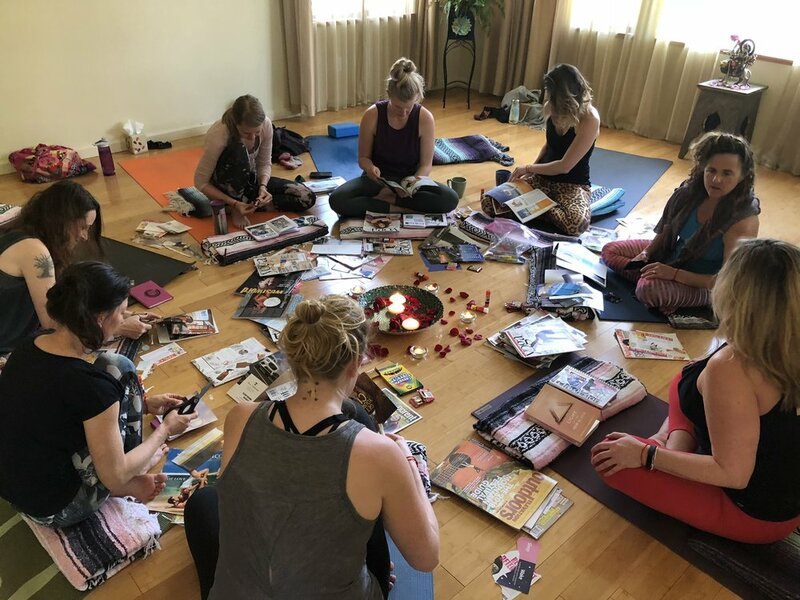 After completion of this program you will not only be a more competent and informed instructor, but you will also be eligible to register as an RYT 500teacher with Yoga Alliance. 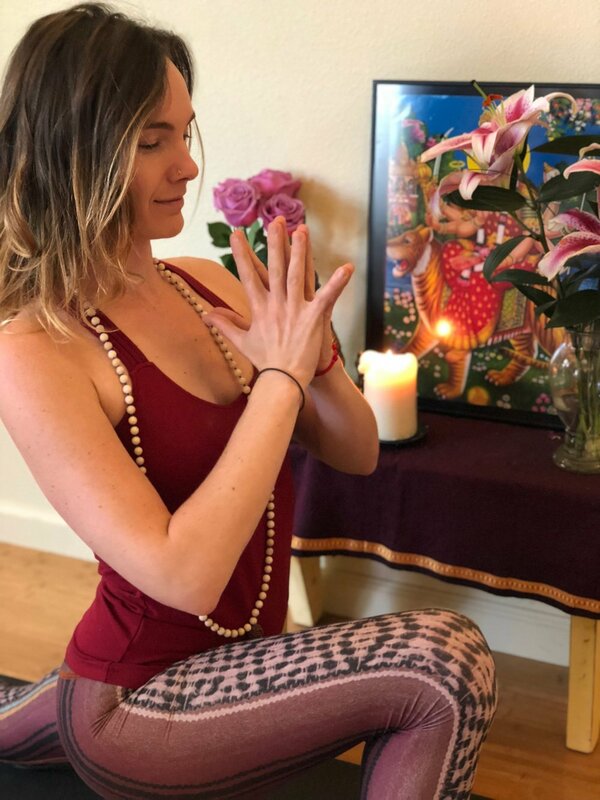 One of the sweetest gifts of the path of the yogini is the tangible grace that begins to flood into our lives when we tap into the creative wisdom of Shakti. Through asana, meditation, mantra, pranayama, mudra and relational practices, we begin to find freedom from samskaras that unconsciously control our lives. We open to more ease, joy and an effortless confidence that comes from maintaining a connection to source. A potent aspect of this training is the ongoing circle of women who are committed to supporting one another. We let go of cultural conditioning which would have us stuck in competition and instead hold each other in our hearts. Laughing to the point of tears. Crying till we can’t help but laugh. And all the while, celebrating one anothers process of awakening to our fullest potential. This is an opportunity to be part of a growing community of women who are dedicated to ushering in real change in themselves and in the world. 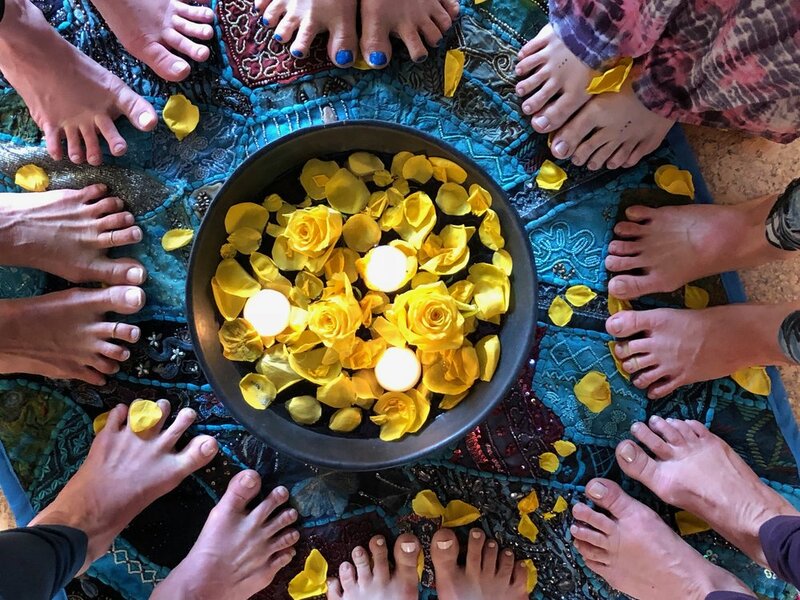 Over the course of our time together, we will explore a feminine approach to our lives and businesses that honor the natural rhythms and cycles of nature. Letting go of the old belief that the way to have success is to do more, we will resist the urge to push and try to force things to happen and instead access the power that comes from being in right alignment. You will receive mentorship from people who have been practicing and teaching for decades. 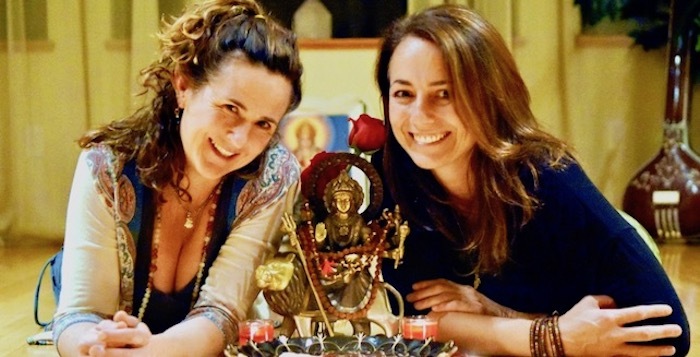 Both Kirsten and Jeanie will take you under their wings and support you in every way possible to ensure your success as a practitioner and teacher. Every weekend you will have the chance to practice your teaching and gain valuable insights on both your strengths and the areas where you have room for improvement. During this training, we will cover marketing essentials. Together we will create a success plan for your unique offering. We will work together to build or improve your website, refine your brand and enliven your personal story. There will be opportunities to fill in gaps in your understanding of social media and other forms of marketing. Over the last two weekends, each participant will offer a 2 hour mini workshop where they will have the chance to showcase their unique gifts. Our spacious six month format allows time for integration, embodiment and practice. Make your $450 Deposit and hold your space TODAY! This training has challenged me in exactly the ways I needed to grow, both personally and professionally. I’ve shed layers of resistance and fear that I didn’t even know I was carrying! after class, and I’m more in love with my practice than ever! The Nectar & Grit teacher training was transformational for my teaching capabilities as well as my personal growth. from what they have learned from books and study, but also from truly living the teachings. The devotion and passion they have is transmitted to the women in the training. and heart based theming, I am now able to more easily invite people into deeper connection with the source within. light and gifts out to the world through the strength of devotion and grace. which has provided me with a solid base to teach (and continue to learn) from. and understanding yoga - theming, cueing, anatomy, meditation, mythology and philosophy etc. of a group of wise and wonderful women - and all the magic that can happen there.